Villa Hayat is committed to ensuring that your privacy is protected. Should we ask you to provide certain information by which you can be identified when using this website, then you can be assured that it will only be used in accordance with this privacy statement. Villa Hayat may change this policy from time to time by updating this page. You should check this page from time to time to ensure that you are happy with any changes. At Villa Hayat , we respect and value your privacy. We only collect, store and use your personal information for defined purposes like order processing and providing a more personalized shopping experience. Passport details, we are required by Turkish Law to send passport details of all guests to the local Police or Jandarma. When your stay is complete, we will destroy all personal information securely. When you book a villa stay, we request you to submit certain personal information such as your name, email and billing address. This allows us to process and fulfil your booking and to notify you of any updates . We DO NOT share or give this information to any outside party with the exception of the necessary components in completing your booking. Your information will not be shared or used in any other manner than what is authorized by you, our customer. 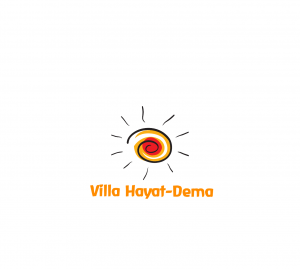 email addresses are used solely for the purpose of communication between you and Villa Hayat . However, we do reserve the right to publish comments of our customers on our site as testimonials. If we do publish your comments, we will include names only after approval from you – we will never publish your name if we don’t have your approval. In addition, we also need to disclose information when required by law to comply with certain legal, regulatory, or law enforcement procedures, if Villa Hayat reasonably believes that such disclosure is necessary or required for the protection of Villa Hayat , its customers, or the public. We e-mail you periodically with offers of further discounts on our products, announce Villa Hayat related news, and inform you of recent developments in the industry. We always provide the option to unsubscribe if you would like to. Although very rare, if necessary we may also need to email you about important service related issues at Villa Hayat , such as temporary suspension of our service for maintenance. We take every precaution to protect your information both online and offline. We use secure servers supporting industry standard 256-bit SSL (Secure Socket Layer) protocol. These internal servers are behind firewall protection. To prevent unauthorized access to stored information, all data that is sent during checkout are encrypted and are decoded only when they reach us. Our priority is to provide a safe and secure online experience for all of our customers.